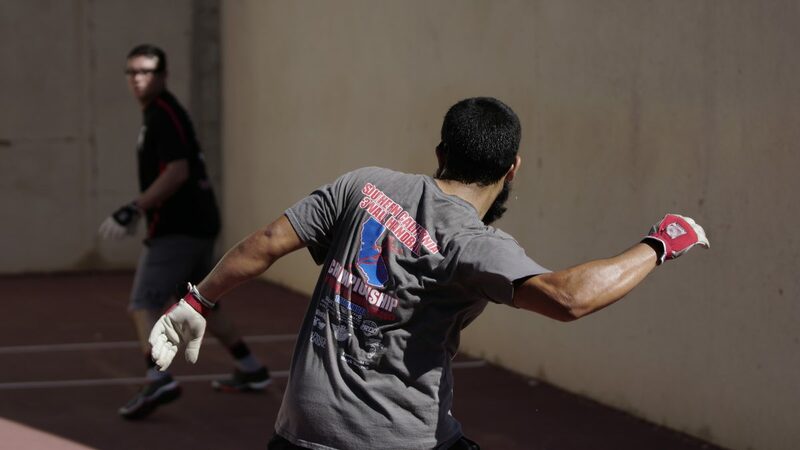 Tucson, AZ, WPH Press, 10/14/17- WPH Outdoor and AZ Outdoor Racquetball teamed up for the first of three combined events during the fall/winter of 2017-2018 with the Battle I at Pima College West in Tucson, AZ. 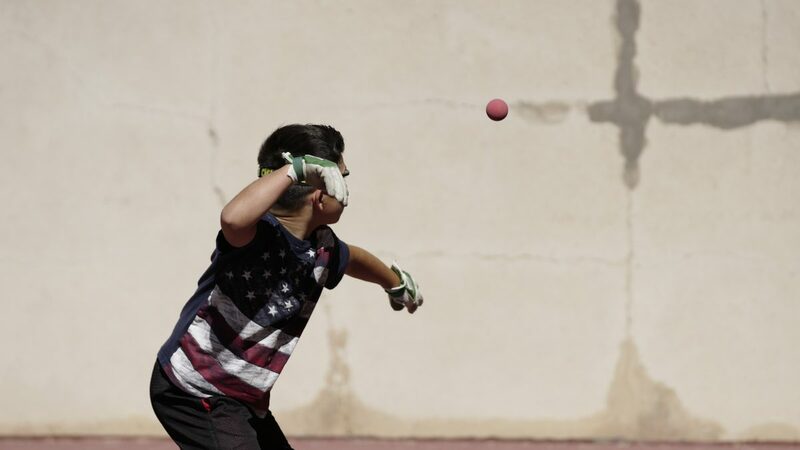 More than 40 pro, junior, and amateur players from Arizona and California filled Pima’s courts for a sun-splashed day of 3-Wall Small Ball and Big Ball handball. 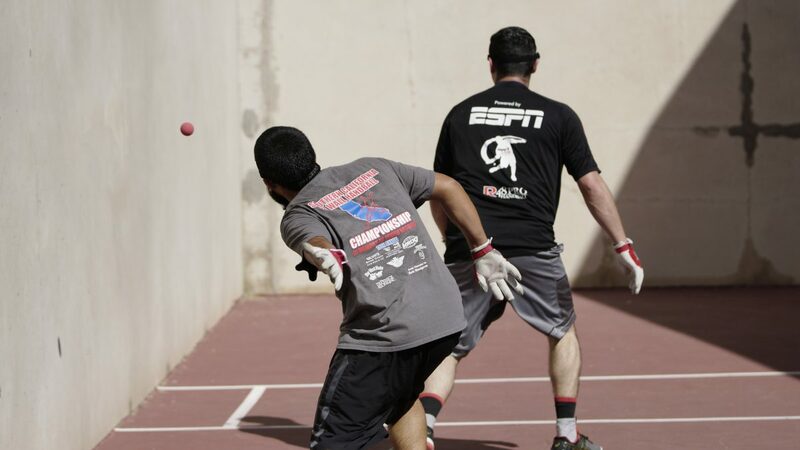 Shorty Ruiz entered the event as the top seed, having just won the Small Ball 3-Wall singles at the 3WallBall Outdoor World Championships for the third time three weeks ago. Ruiz advanced to the final in a slugfest against former L.A. neighbor Samzon Hernandez. With the score 15-14 at halftime, Ruiz scored 10 of the final 15 points of the match to advance to the final. “Sam’s tap shots were really coming off and dying in the corners,” Ruiz would later say. R48 #2 David Fink entered the event as the #2 seed and overcame WPH Outdoor Ironman Sal Duenas to advance to the semifinal. Duenas, Hernandez, and Brian Medina had withdrawn from the event late on Friday evening, but a late night change of heart saw the L.A. trio drive through the night to make the Battle I. 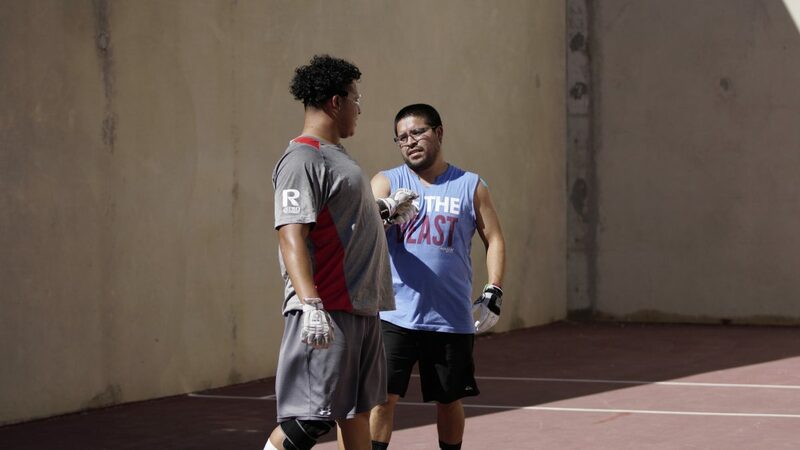 On just one hour of sleep, Duenas demonstrated sensational small ball skills in pushing Fink to the limit. R48 #3 Luis Moreno was making his first tournament start since the Tucson Armed Forces in May and was expected to advance to the semifinal to face Fink. 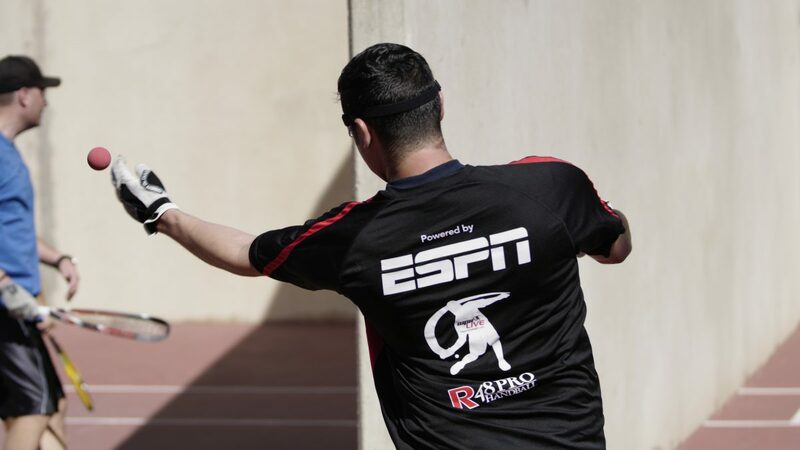 Sixth-seeded Brian Medina was not intimidated by the nine-time R48 champion and former R48 Player’s Champion, taking a 15-7 halftime lead on the local legend. Moreno was able to cut the deficit, but never seriously challenge Medina. 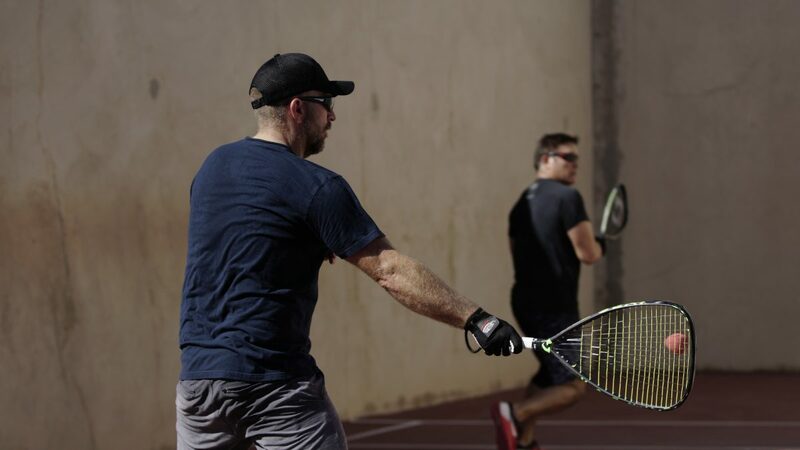 “His power serve really wasn’t coming off and he switched to an overhand serve,” stated Medina. “After halftime he started to pick up some points on the power serve.” Medina pulled off the monumental upset on just one-hour of sleep, setting up a showdown with Fink for a spot in the final. Ruiz started the match with nine straight ace serves, seizing a 9-0 lead without playing a rally. Ruiz continued to apply pressure, taking a 15-3 lead at the half. Fink caught fire, fly-killing with both hands and cutting the deficit to one at 17-18. An easy missed fly kill handed Ruiz a side out, and with it, any momentum Fink had established. Ruiz scored the final six points of the match in one inning, earning the first Battle I title. Tucson’s Victor Espinoza clinched 9th place with three impressive wins, while Luis Moreno clinched fifth. Samzon Hernandez and Sal Duenas entered the event as the top seeded team and disposed of two of Phoenix’s top big ball doubles teams en route to the final. Shorty Ruiz and an un-retired Dave Vincent awaited the “Super Team” in the final, defeating Brian Medina and David Fink in the semifinals. The Super Team were too strong for Team Shorty/DV, cruising to the Battle title. Current national 3-Wall finalist Ashley Moler was too strong for Fred Lewis Foundation’s Kena Byrd and Sophie Della Cruce and new Tucson resident Bianca Verlangieri. Moler went undefeated in the round robin format, but came away impressed with the young talent. “Sophie really hits a great ball and I really enjoyed playing Kena and Bianca. 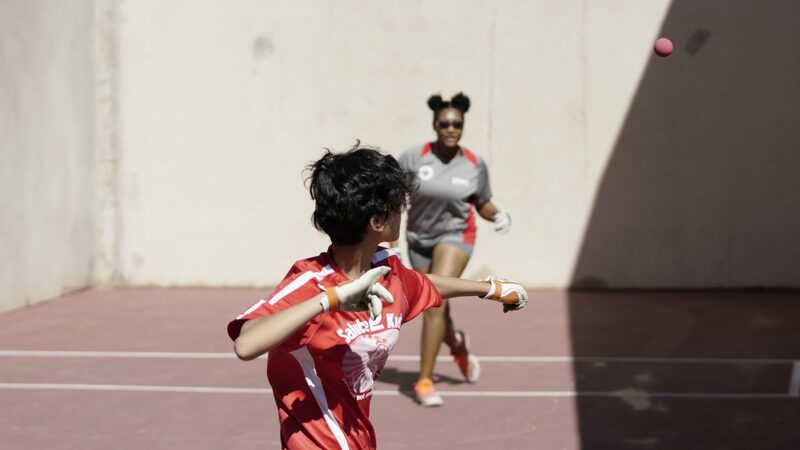 More than 20 youngsters from Phoenix, Arizona State University, Pima College, and the Fred Lewis Foundation competed in the Battle I, producing a number of exciting matches. 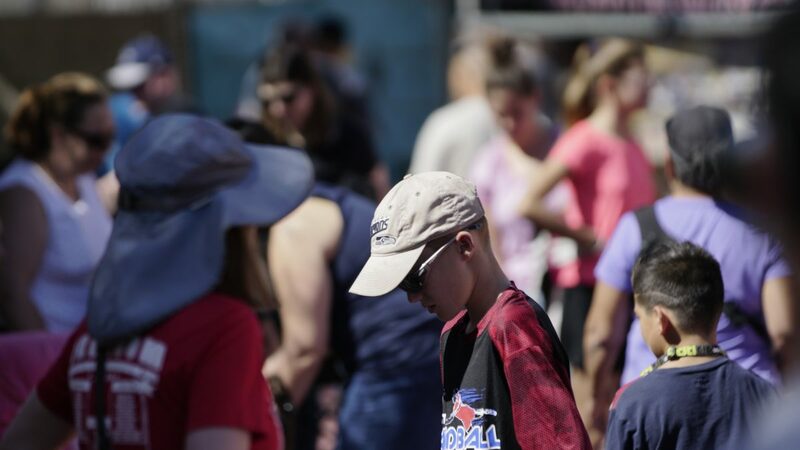 FLF superstar Ayden Brule cruised in the 14-and-under, overcoming Jensen Payton, Miguel Sandoval, and Andres Sandoval to win the title. Huge thanks to Darold and Michelle De La Rosa, AZ Outdoor Racquetball, and all of the volunteers for their incredible help in making the Battle I an awesome event. 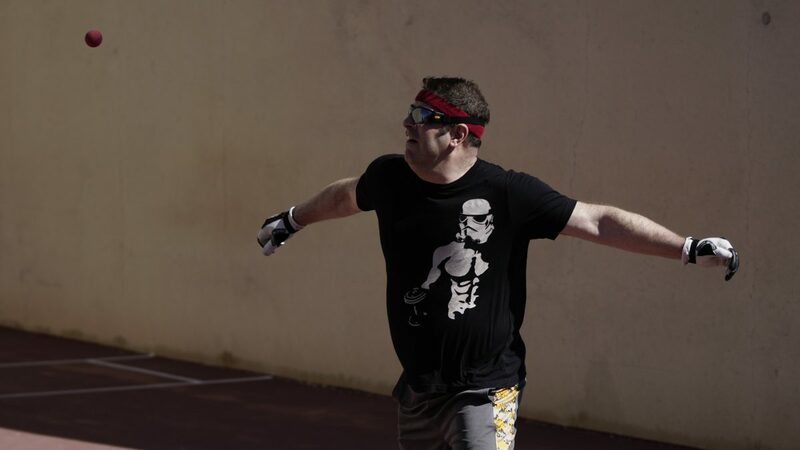 “I never want to do an event without the Keys,” stated Handball Battle I director David Fink. Special thanks also to men’s and women’s small ball Battle I champions Shorty Ruiz and Ashley Moler for all of their help before and during the event. Thanks to Dan Willeford for bringing three members of his ASU team, the Fred Lewis Foundation, and Team L.A. for making the overnight drive to be a part of the event.